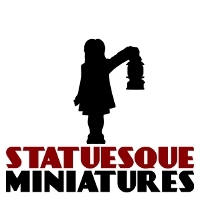 One of the best things about being a miniatures sculptor is seeing your work finished by a painter. I get a kick out of this regardless of the skill of the painter as the fact someone has taken the time and effort to complete a figure I've sculpted is an honour in itself. When the painter is particularly skilled, it's really something special. For the new fantasy range, I decided to treat myself and commissioned Andy Wedmore of Belly Miniatures paint up a set of the forthcoming Adventurers. 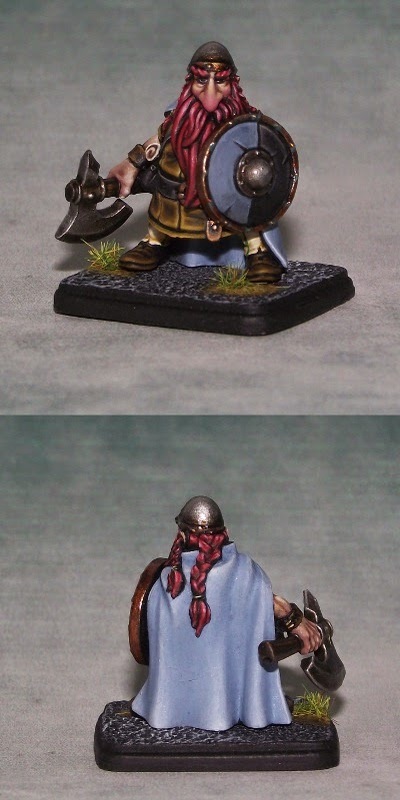 He's just completed the dwarf and I think he's done a fantastic job, really capturing the look I imagined in my head when I was sculpting him. Andy is working on the rest of the warband now and I for one can't wait to see the results! We're down to the last few Pre-Order sets of the Adventurers, so thanks to everyone who's placed an order so far. And tomorrow the next adventurer will go off to the mould makers for the first stage of moulding. Fear the Dwarf Berserker!